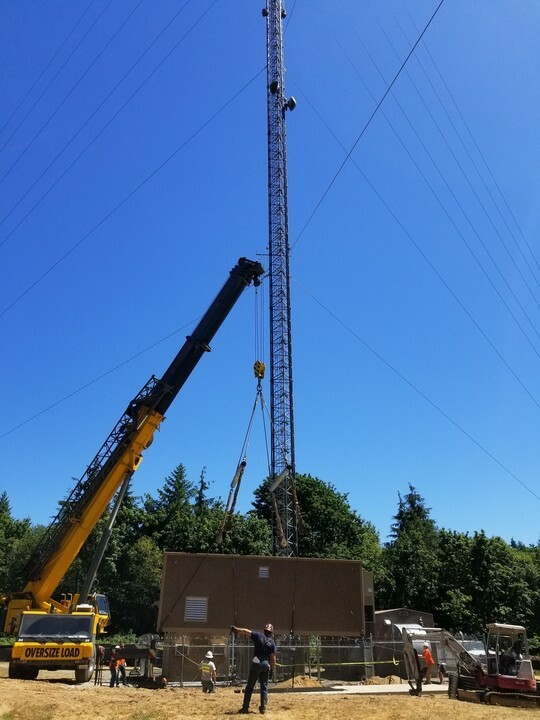 Brand new shelter being delivered to the Suquamish radio site. 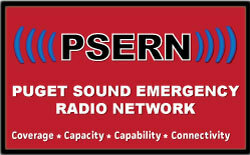 A lot has happened since the New Year Edition of PSERN News! Over the last couple months, the PSERN team has been meeting with PSAP’s and Dispatch Centers to talk about transition plans to PSERN and what each organization needs to do to prepare. PSAP’s and Dispatch Centers have already begun doing work to get their buildings ready for new PSERN equipment. Once all the organizations are ready, then the transition process will begin. 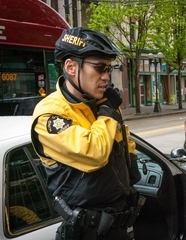 If you have any questions about your PSAP or Dispatch Center transition please contact Sean Douglas at 206-263-8094. I grew up in Chicago, the son of a boiler man and come from a large family—three brothers and two sisters. After high school I moved to Arizona, joined the USAR and attended Arizona State University where I earned a Bachelor of Arts in Geography with a minor in Geology. After spending several years at Salt River Project (utility) in Phoenix I took a job with Nextel Communications in 1999 where I began my career as a construction project manager in the wireless industry. Throughout my career I have worked in 3 different regions of the country and 9 states for major companies such as Nextel, Sprint, T-Mobile, Ericsson, Clearwire, Lucent, AT&T and Crown Castle where I managed Verizon’s Midwest site development on Crown towers. For fun, I enjoy backpacking, camping, mountain biking, history, and most recently model trains with my son. You can only imagine how much equipment is needed for a project the size of PSERN! This is just a glimpse of the volume of equipment that will be distributed to various radio sites! The equipment you see here is being staged and tested in Elgin, Illinois. It will be deployed to the various radio sites around King County! BOXES, BOXES AND MORE BOXES of equipment! When you buy new batteries for your flashlight, they certainly seem full of energy. Check out this battery stack at our Ring Hill site! Each tower site has many batteries to keep the site powered in the event of a temporary power outage. While a typical C- or D-cell provides 1.5 volts, our batteries are configured to provide 48 volts to keep the equipment running. Because the radio equipment obviously needs much more power than a flashlight, the batteries are much larger. 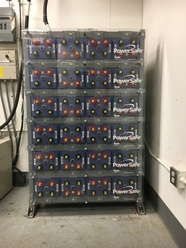 These batteries are capable of powering the site for a full day. A typical alkaline C-cell can provide about 8000 mAh or 8Ah, while our battery stack at Ring Hill can provide 797 Ah at 48 volts vs. the C-cell’s 1.5 volts. A little math will show that the Ring Hill battery stack is capable of providing about 3,188 times as much power!